An exhibition exploring how people celebrated the end of World War One. Learn about the Armistice. Games, stories, and art will be combined so that your tamariki and mokopuna can learn about Armistice. The event will begin with a game and then you can create your own postcards and envelopes which you can write to someone you care about or write a message of peace. To finish the session, we will read stories to the children about World War One and Armistice. 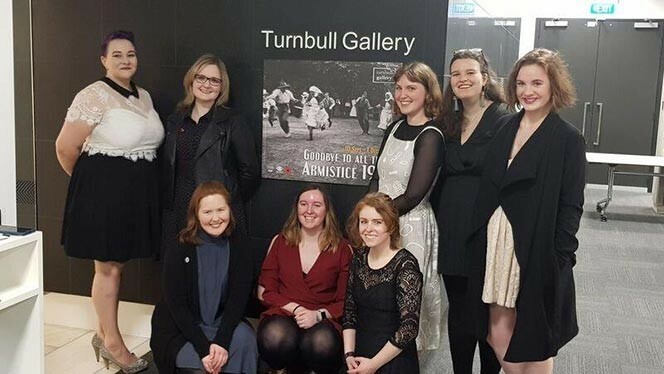 This event is part of the exhibition in the Turnbull Gallery on the first floor of the National Library, ‘Goodbye to all that’ curated by students from the Museum and Heritage Students from Victoria University.